Brian Johnson – LHP – Florida – Jr. 4IP 2H 0ER 1BB 5K. Steven Rodriguez – LHP – Florida – Jr. 0IP 2H 2ER 0BB 0K. Daniel Gibson – LHP – Florida – So. .1IP 0H 0ER 0BB 0K. 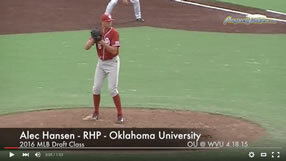 Greg Larson – RHP – Florida – Sr. 1IP 1H 2ER 0BB 0K. Unsigned 29th round pick in 2011 (LAA). Sam Selman – LHP – Vanderbilt – Jr. 5IP 8H 6ER 3BB 2K. (L, 0-1). 6 unearned runs made this 18-5 loss to Stanford ugly. Kurt McCune – RHP – LSU – So. 6IP 3H 0ER 1BB 4K. (W, 1-0). Aaron Nola – RHP – LSU – Fr. 2IP 0H 0ER 0BB 2K. Unsigned 22nd rounder (TOR) and brother of shortstop Austin. Ian Gardeck – RHP – Alabama – Jr. 1IP 1H 0ER 0BB 0K. John Curtiss – RHP – Texas – Fr. 3IP 4H 2ER 1BB 4K. (L, 0-1). Ricky Jacquez – RHP – Texas – Fr. 5IP 4H 0ER 2BB 4K. Dillon Peters – LHP – Texas – Fr. 1IP 0H 0ER 1BB 0K. Rob Zastryzny – LHP – Missouri – So. 3.1IP 4H 3ER 2BB 1K. AJ Vanegas – RHP – Stanford – So. 1.2IP 4H 4ER 2BB 2K. Jake Barrett – RHP – Arizona State – Jr. 1IP 1H 0ER 0BB 1K. Zach Weiss – RHP – UCLA – So. 5IP 5H 0ER 2BB 1K. (L, 0-1). Tough luck loss thanks to 3 unearned runs. Stephen Tarpley – LHP – Southern California – Fr. 5.2IP 5H 2ER 2BB 9K. Derek Self – RHP – Louisville – Sr. 2IP 0H 0ER 0BB 0K. (S, 1). Unsigned 27th round pick (OAK) in 2011. Travis Tingle – RHP – Louisville – Sr. 2IP 4H 3ER 2BB 3K. Matt Carasiti – RHP – St. John’s – Jr. 2IP 4H 2ER 1BB 3K. Jerome Werniuk – RHP – St. John’s – Jr. .1IP 0H 0ER 0BB 0K. Transfer from LeMoyne was a 20th round pick in 2009 (TEX). Michael Lorenzen – RHP – Cal State Fullerton – So. 1IP 1H 0ER 0BB 0K. (S, 1). Possible 1st round pick as an outfielder in 2013 could become the next great two way threat for Fullerton. Andrew Thurman – RHP – UC Irvine – So. 2.1IP 2H 1ER 2BB 2K. Nick Grim – RHP – Cal Poly – Jr. 1.1IP 1H 0ER 1BB 1K. Kaleb Merck – RHP – TCU – Jr. 1IP 0H 0ER 0BB 1K. (S, 1). Michael Cederoth – RHP – San Diego State – Fr. 2IP 2H 1ER 0BB 1K. (W, 1-0). Aaron Brown – LHP – Pepperdine – Fr. 1IP 1H 0ER 0BB 0K. (S, 1). From Chatsworth (CA) High School, home of Mike Moustakas and Matt Dominguez. Chris Johnson – RHP – Portland – Jr. 5.1IP 5H 3ER 2BB 4K. (W, 1-0). Cody Watts – RHP – Portland – Fr. 1.2IP 1H 0ER 1BB 0K. Dylan Covey – RHP – San Diego – So. 5IP 3H 1ER 4BB 4K. (L, 0-1). Modest start, but improvement overall miserable freshman season for the unsigned 2010 1st round pick (14th Overall – MIL). Taylor Garrison – RHP – Fresno State – Sr. 1IP 2H 1ER 0BB 2K. Unsigned 27th round pick in 2011 (27th Round – LAD). Esteban Guzman – RHP – San Jose State – Sr. 2IP 1H 0ER 1BB 4K. Unsigned 17th Round pick in 2011 (WAS). David Garner – RHP – Michigan State – So. 3.2IP 7H 6ER 1BB 4K. (L, 0-1). Unsigned 33rd Rounder in 2010 (Cincinnati). Matt Ogden – RHP – Michigan – Fr. 1IP 0H 0ER 0BB 1K. Josh Dezse – LHP – Ohio State – So. 1IP 1H 1ER 2BB 0K. Electric mid 90’s arm and best Buckeye bat. Nick Wittgren – RHP – Purdue – Jr. 1.1IP 3H 1ER 0BB 3K. Jordan Foley – RHP – Central Michigan – Fr. .1IP 0H 1ER 1BB 1K. Dietrich Enns – LHP – Central Michigan – Jr. 2IP 2H 3ER 2BB 4K. Sean Manaea – LHP – Indiana State – So. 6.2IP 5H 2ER 1BB 4K. (L, 0-1). Mitch Mormann – RHP – Wichita State – Sr. 1.2IP 5ER 4BB 1K. (L, 0-1). Unsigned 25th Round pick (DET) in 2011. John Simms – RHP – Rice – So. 2.2IP 1H 0ER 2BB 2K. (W, 1-0). Jordan Stephens – RHP – Rice – Fr. 4.1IP 1ER 4BB 3K. Alex Massey – RHP – Tulane – Fr. 5IP 5H 0ER 0BB 6K. (W, 1-0).